Hole is not tootbad so far but I'm trying to stop it from getting worse. I figured Sanding, bondo and repainting but im also an idiot so does anyone have any better ideas? Yes, sand it around the spots to get to bare metal around each spot. 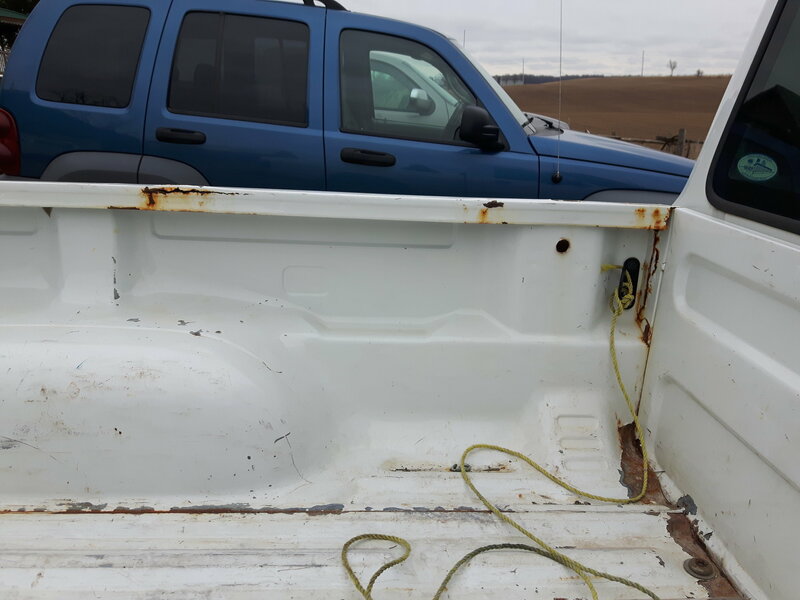 It would be best to cut out that whole section and replace it with a section cut from a wrecking yard bed, because it will be rusted on the back side as well. 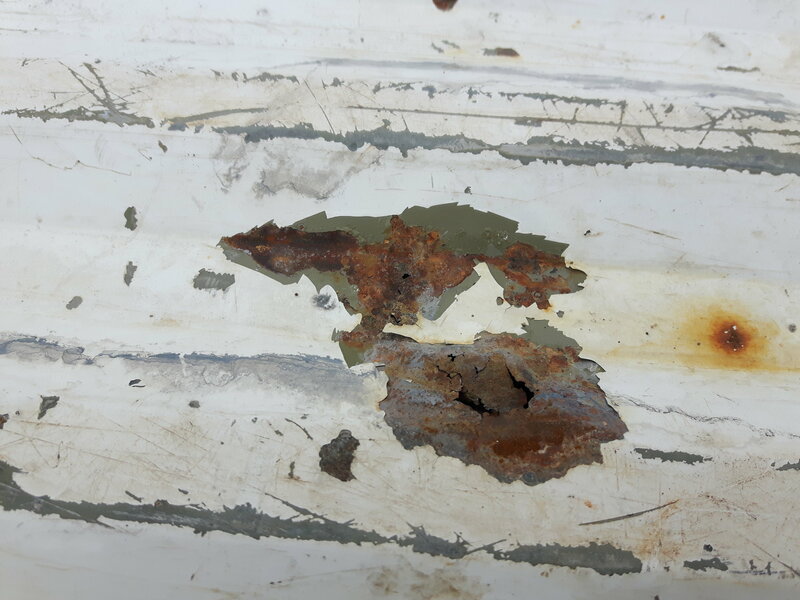 But.........after getting it to bare metal use Naval Jelly to turn rusted areas to inert material, follow instructions and do not get it on painted surfaces, rinse well with water and let it dry. Paint does hold up in sunlight, well most paint, lol. Ok I am a very incompetent welder so I won't even try replacing the metal. I'll sand it down to bare, remove the rusted metal, fill it with Bondo, sand it down smooth, prime it, paint it, clearcoat. Sound about right? I don't know what i can do about underneath, nothing i suppose. Or should I keep an eye out at the scrapyard for a better bed?